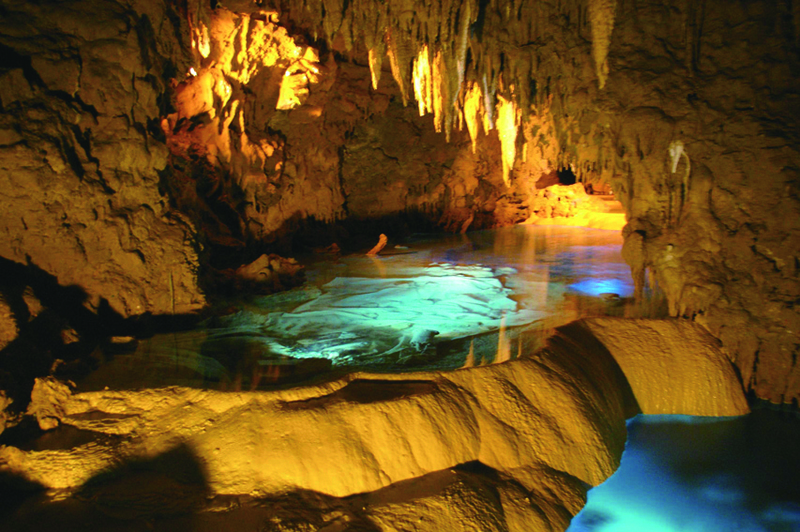 Gyokusendo Cave is located 40 minutes south of Naha, inside the Okinawa World theme park known as the Culture Kingdom Gyokusendo. The Gyokusendo cave is believed to have existed more than 300,000 years. The cave has a total length of 5 kilometers, the second longest in Japan. 850 meters of the cave is open to the public and feature spectacular stalactites and stalagmites which are claimed to be the greatest in Asia.